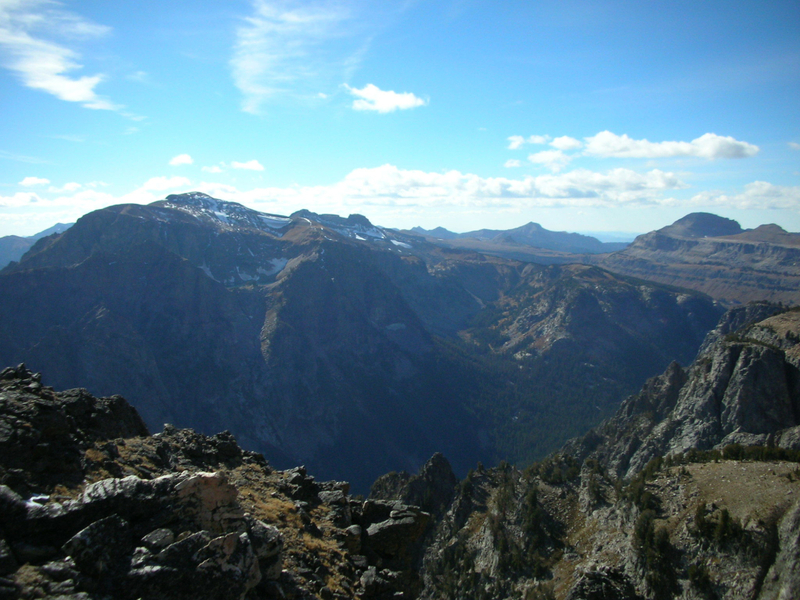 Though this is a long, fairly strenuous hike, the views from Static Peak make it all worth it. A classic Teton adventure. Good for both Grand Teton and Yellowstone national parks: $25.00 per vehicle; $12.00 per person for single hiker or bicyclist; $20.00 per motorcycle. You can also purchase an annual pass. 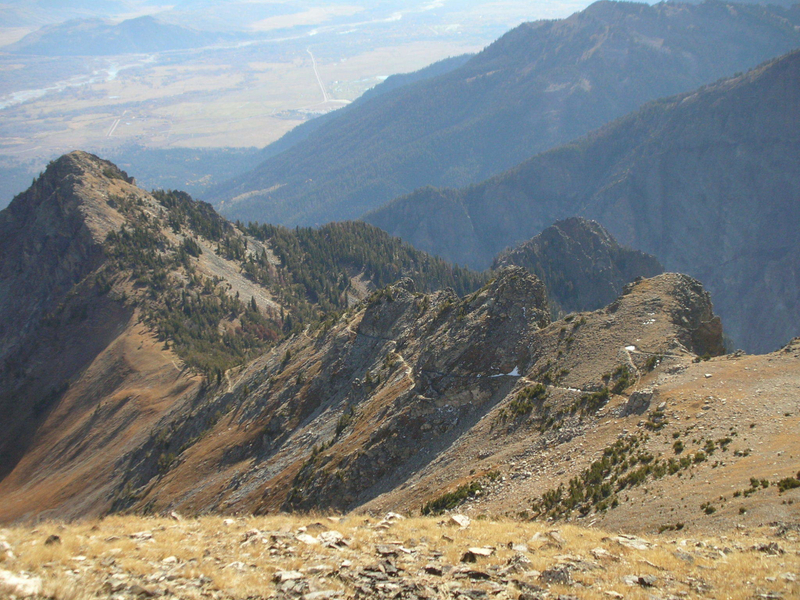 Static Peak, just south of Buck Mountain, is a beautiful Teton summit that requires no climbing or scrambling whatsoever. The trail to it is very circuitous though. Very. 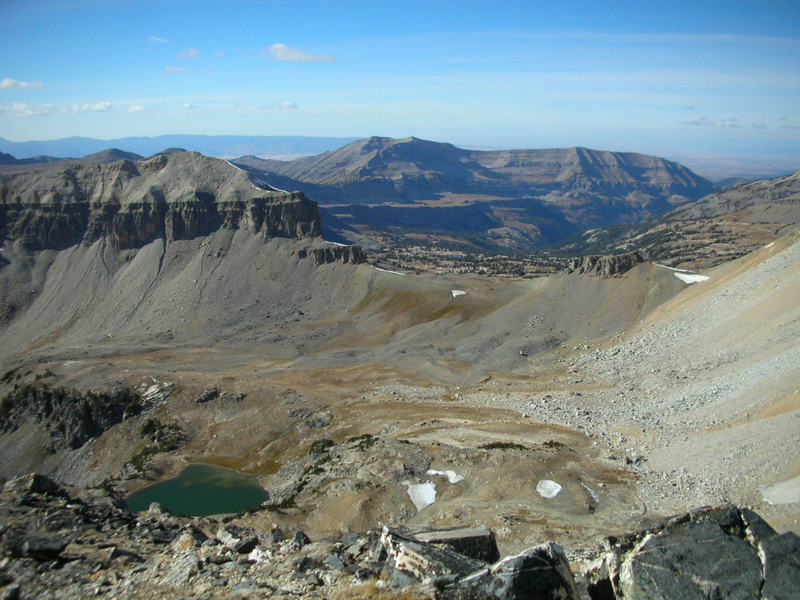 Starting at the Death Canyon trailhead, you hike to the Phelps Lake overlook. And then you hike down to Phelps Lake, where the Death Canyon Trail intersects the Valley Trail. 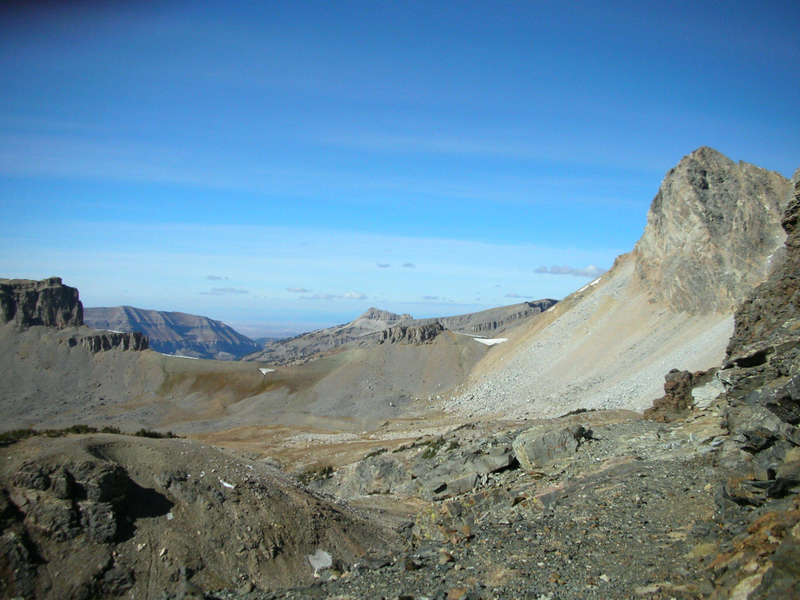 Then you head west up Death Canyon before hitting the ranger patrol cabin. By this point, you’ve hiked 3.7 miles, climbed nearly 1,500 feet and descended almost 500 feet (the walk down to Phelps Lake from the overlook). Thankfully, the patrol cabin is where your western trajectory ends. You could continue west if you so wanted, but that’d take you to Fox Creek Pass and to the Death Canyon Shelf. Both beautiful destinations, but not the one we’re aiming for in this instance. Take the fork to Static Peak Divide. The sign at the patrol cabin says the divide is exactly four miles. Know this is the longest four miles in the world. It’d feel long even if it didn’t simultaneously climb 3,000 vertical feet, but some switchbacks take 15 minutes. A single 15-minute long switchback?? About 1,000 feet up, you cross a stream, which is pretty much the last water of the trip. Another 1,000 feet after that, and you pop onto a small saddle. There are beautiful views down onto Phelps Lake and the beginning of the Death Canyon trail. At this point, you may think you're getting close, but you're wrong. Fifteen minutes more brings you to a bigger saddle with even better views of Jackson Hole. From this second saddle, Static Peak looks very picturesque, its sloping southwestern ridge hiding all but the very top of Buck Mountain. Again, because it feels like you’ve walked at least 10 miles since the sign at the ranger station that said the divide was only four miles, you'll think you are close, but again you're wrong. You still have about an hour and 1,000 more vertical feet from here. And there's the small chance you could miss it. 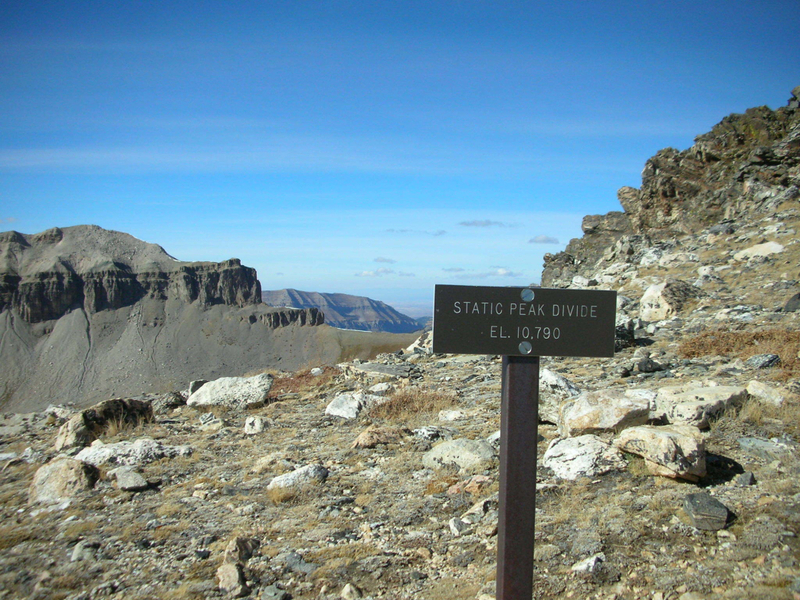 There is no trail to Static’s 11,303-foot summit. 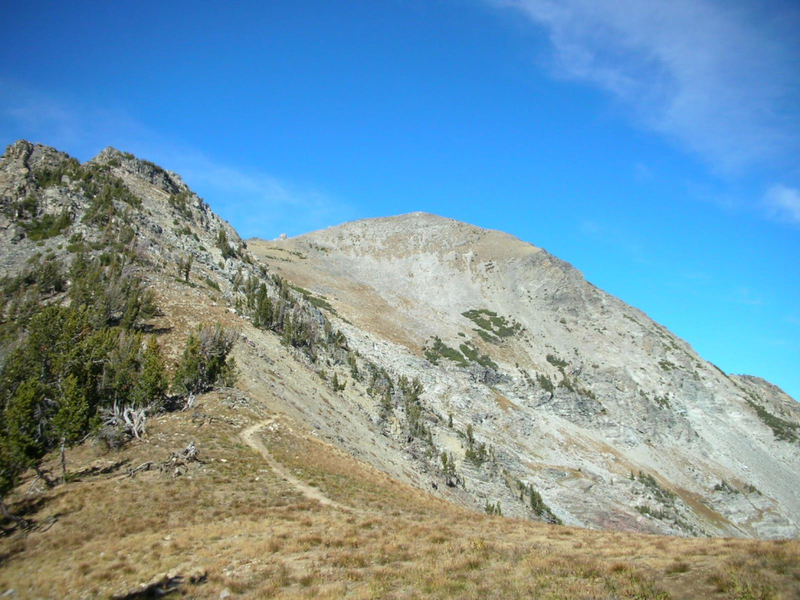 The trail goes to 10,790-foot Static Peak Divide and then ducks west again, heading towards Buck Mountain Pass and Alaska Basin. Follow the trail to a small sign marking the divide and then go freeform. The ridge to the summit is obvious and easy; all you have to do is pick your own way up. Anyone looking for a challenging, full day effort. 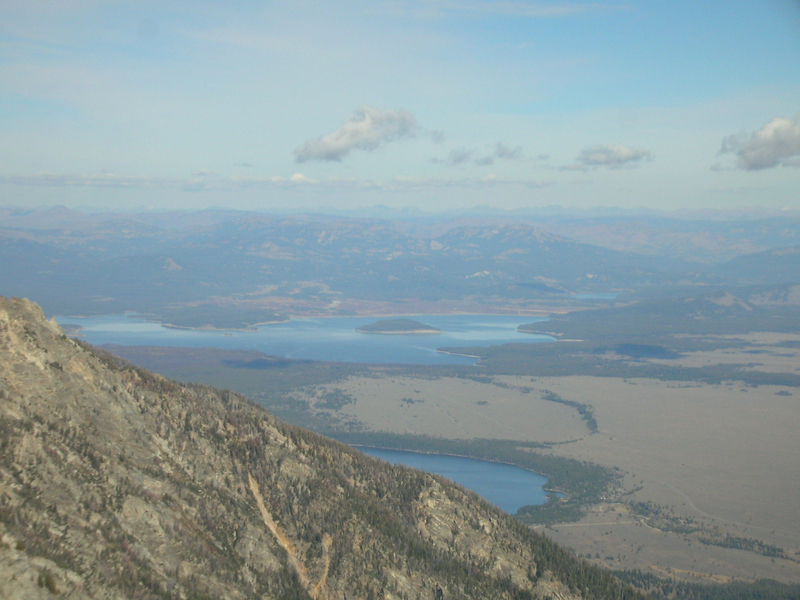 From SummitPost: "From Moose Junction in Grand Teton National Park, head south on the Moose-Wilson Road for a few miles and then turn right onto a road that leads about a mile to the trailhead for Death Canyon and Phelps Lake. These roads are paved but are narrow and a little rough in some places. Moose-Wilson Road can also be accessed from WY 22 east of Targhee Pass via WY 390 and the Granite Canyon Entrance Station."